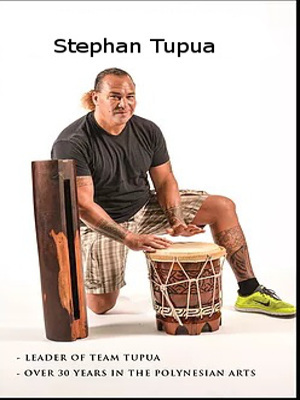 Stephan Tupua is a Polynesian Dance Expert and Head of Team Tupua, with Tupua Productions. Stephan’s entertainment career began over 30yrs ago. Stephan has toured Europe and travelled across the United States. 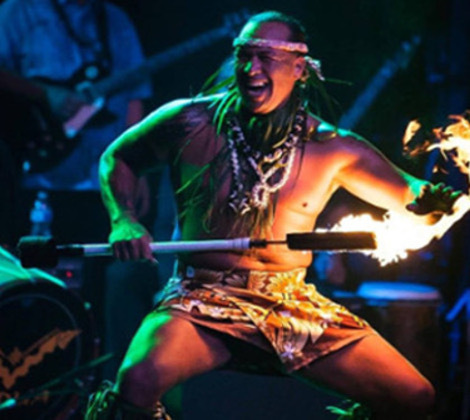 He was the lead drummer, fire-knife dancer and Musician for world famous Tiare Productions for 25+yrs, and has placed 1st place in many drum competitions and has judged for the Fire Knife Competition in California. Stephan is one of the most versatile Emcee’s in Southern California and is very professional. Many Companies request Stephan time and again once they have experienced his work ethic. Today he heads up the Island Dance classes with his wife Melody teaching the songs and rhythms of the Islands while members of Tupua Productions (A professional Polynesian Entertainment Company) travel statewide to provide authentic Polynesian variety acts for both private and public events.
" Stephan Tupua Seanoa founder of Tupua Productions, Events Manager and Dance Instructor. The Tupua Production Dancers have remained family owned and operated and has continuously provided Authentic and Unparalleled Polynesian Entertainment. " "Former Polynesian entertainer with the world famous Tiare Productions and now part owner of the award winning TUPUA Productions. 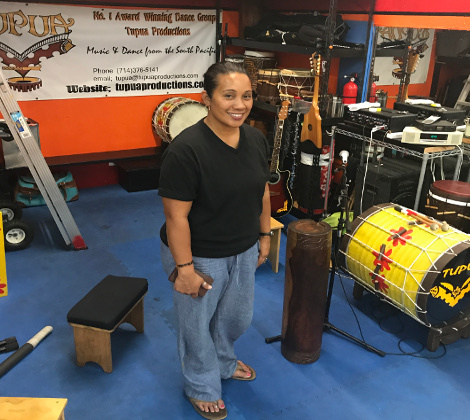 Melody has been choreographing and instructing Polynesian Dance for 15yrs. I have experienced all aspects of what it takes to teach, perform and conduct a performance; and have been involved with absolutely every aspect of the process. " Book Your Next Event With Us! Spectacular Polynesian Entertainment Productions Large Or Small. Tupua Productions, a Polynesian Dance Entertainment Company.